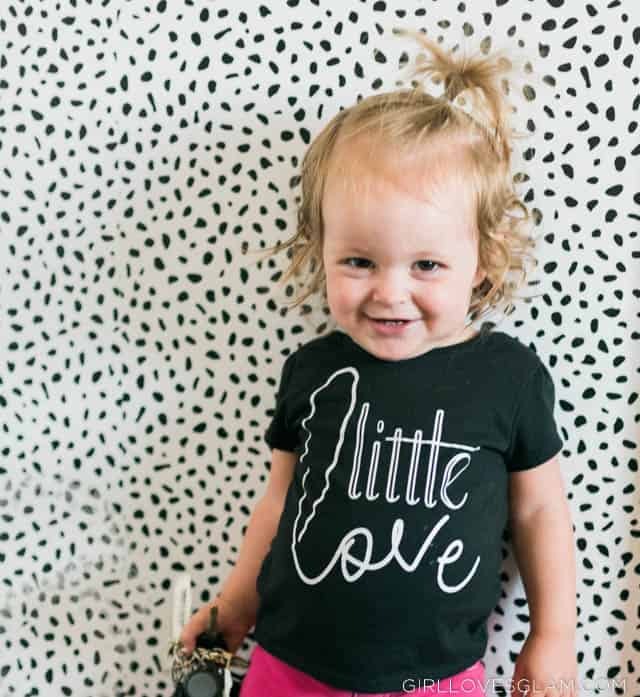 This “little love” shirt has been in my daughter’s wardrobe rotation for about 7 months now and she wears it constantly. The vinyl still looks great! That is the magic of using quality vinyl from Expressions Vinyl! I used the Easyweed Heat Transfer vinyl for this shirt. To use a free cut file, you will click on this link and download the png file. You will open your Silhouette software (I know nothing about Cricut, but I know it can be done in there as well) and you will drag the png image on the Silhouette software. Click on the trace icon (it looks like a butterfly being cut out of a piece of toast) and draw a square around where you want it to trace. You will want to play around with the tracing settings to let the cleanest trace happen and then click the trace button. Don’t forget to mirror the image before sending it to cut with your Silhouette! 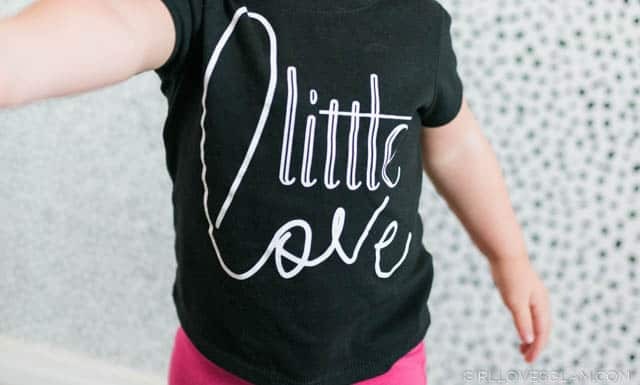 Cut the image out with the Silhouette, weed out the extra vinyl from around the words, and iron it on your shirt! 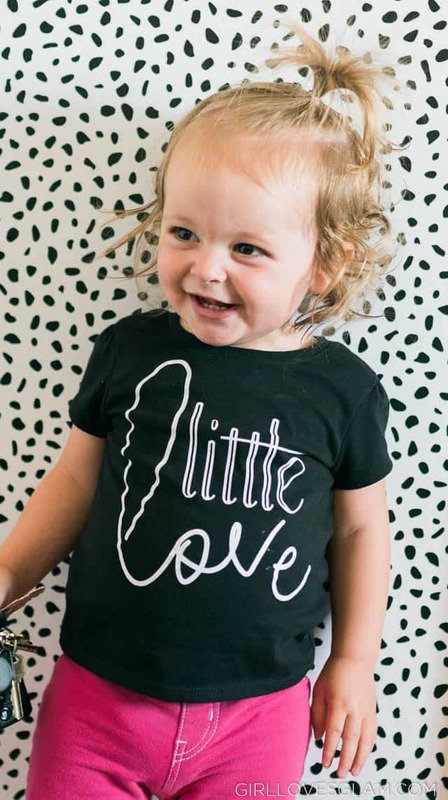 This design looks darling on baby onesies, too! I have used it for baby gifts! 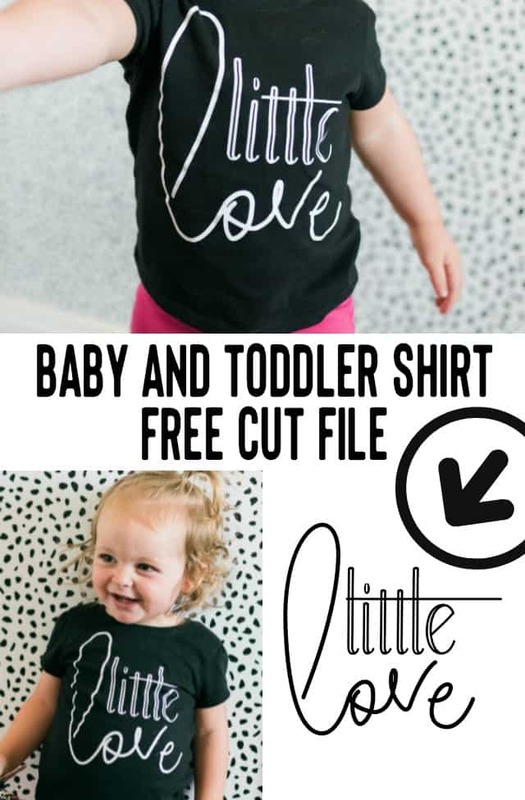 I create a lot of cut files when I am making shirts for my kids. Do you want to have access to more of them?